Sound the alarm! 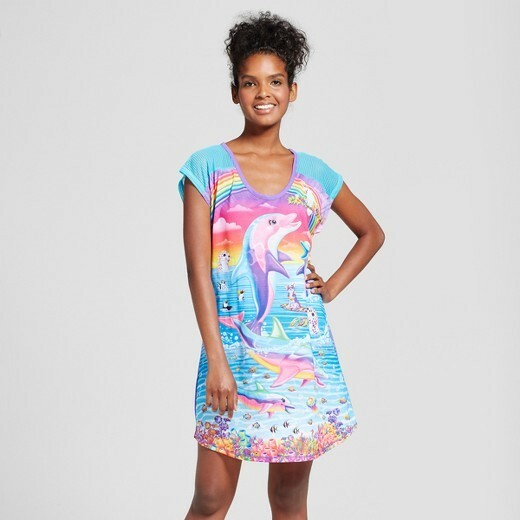 Everyone’s favorite 90s brand is making a comeback, and this time instead of folders and trapper keepers, you can now don Lisa Frank PJs to bed. Yes, that’s right, your dreams are about to be *~wAy MoRe CoLoRfUl~* Available at Target, the 10 piece pajama collection is bright, bold and covered in magical animals… just what you’d expect from Miss Frank. I don’t know about you but I need this just as much as I needed the Spice Girls CD in 1995. Check out the whole collection here. Happy sleeping!